NYC boat lovers rejoice! It looks like the East River Ferry will continue to serve maritime commuters for at least another five years. Mayor Bloomberg made the announcement that the ferry service, which was previously scheduled to end in June 2014, would continue to run along Manhattan, Brooklyn, and Queens by way of the East River waterfront until 2019. The ferry line started as a trial pilot program in 2011 and since then has carried nearly 3 million passengers and become an integral part of the city’s transportation infrastructure. With the program extension in tow, the BillyBey Ferry Company will continue to operate the initial three-year pilot service for five more years. The daily ferry service will run between East 34th Street and Pier 11 in Manhattan; Long Island City in Queens; Greenpoint, North Williamsburg, South Williamsburg, Brooklyn Bridge Park, and DUMBO in Brooklyn; as well as seasonal weekend service to Governors Island. Unfortunately, the one thing that has changed is the slight bump up on weekend ticket prices to $6. Luckily, commuters will continue to pay $4 for one-way weekday tickets. According to usage statistics, the East River Ferry overshot its initial three-year ridership projections in just the first 18 months of service with a total ridership goal of 1.2 million passengers. Currently, the East River Ferry carries an average of 100,000 passengers each month. The program potentially could see new additions as well. 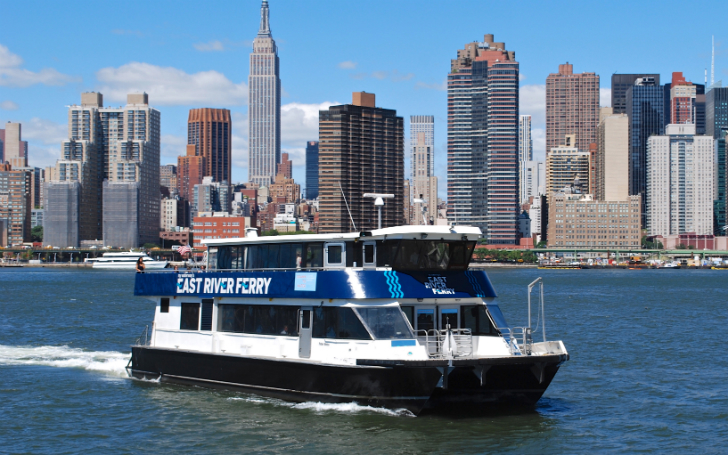 The NYC Economic Development Corporation plans to release and updated Comprehensive Citywide Ferry Study. Preliminary findings already suggest a Midtown waterfront transit point is extremely desirable with high traffic coming to Manhattan’s 34th Street from both Brooklyn and Queens. So in the future we might see two whole new ferry lines.